Have you got questions about sleep apnea? Check out the “Quick Links” section to see if your question shows up. We have plenty of informational resources on this website that should provide you with everything you want and need to know about this sleep disorder. If you don’t find the answer you seek or would like to find out about our CE Dental Sleep Seminars for Dentists, click on the link or fill out the form on the Contact Page and one of our skilled representatives will call you back to address your query promptly. 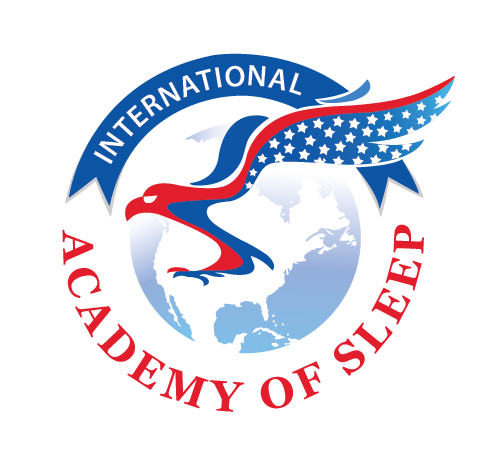 Question: How many sleep apnea sufferers are there in the United States? Answer:There are an estimated 22 million Americans living with obstructive sleep apnea: that’s 5% to 10% of the population. But, the most shocking thing about those statistics is that 90% of these people haven’t even been diagnosed yet, which means they aren’t being treated for their problem. Question: How is it possible for my airway to just close while I sleep? What causes that? Answer:There are a number of reasons this happens and the most common is an abundance of fatty tissue in the neck, as is typical of overweight people. The weight of this tissue applies pressure to the throat muscles, which, when relaxed due to sleep, can partially or completely block the airway. Extra tissue in the back of the throat can also be present in patients with a large tongue, tonsils or adenoids, as is common with children. Aging and the weakening of the muscles is another reason these throat muscles become lazy and collapse during sleep. Question: What should I do if I suspect that my partner, my children or I have sleep apnea? Question: What are the possible consequences if I choose not to have sleep apnea diagnosed or treated? Overall, a substantially decreased quality of life. For these reasons, it’s greatly advisable that you get evaluated if you suspect that you or your partner has sleep apnea. Question: What are the treatment solutions for obstructive sleep apnea? Lose weight with healthy eating and exercise, as being overweight is the predominant cause of OSA. In fact, most people can cease CPAP therapy once they’ve lost 10%-15% body fat. Avoid alcohol as it relaxes the muscles, causing the collapse of the airway during sleep. Avoid sedatives, hypnotics and smoking. Question: What common nighttime symptoms might indicate that my partner or I have sleep apnea? Question: What common daytime symptoms may indicate sleep apnea? Question: What are the risk factors for obstructive sleep apnea? Answer:Being overweight, being older than 50, having a neck circumference of more than 17,5 inches, having a large tongue, tonsils or adenoids, alcohol abuse and smoking (inflames the airway) are all considered risk factors for obstructive sleep apnea. Question: What are the benefits of undergoing treatment for sleep apnea? Much better quality of life! Question: Is it possible for children to have sleep apnea? Answer: Yes, children can suffer from sleep apnea, especially those with an enlarged tongue, allergies, adenoids, malocclusion (bad bite) or tonsils. It’s just not as common a problem as it is with older adults. Question: What symptoms should I look out for if I suspect that my kids have sleep apnea? Question: Are there other kinds of sleep apnea? Answer: There are three kinds of sleep apnea, the most common being obstructive sleep apnea (OSA). Central sleep apnea (CSA) is caused by electrical misfiring of the brain (forgetting to instruct you to breathe) rather than the mechanics of relaxing throat muscles, which is why it tends to present in patients who have experienced stroke, spinal injury, congestive heart failure, neurological disease, atrial fibrillation or brainstem injury. Mixed sleep apnea (MSA) is a combination of the two.